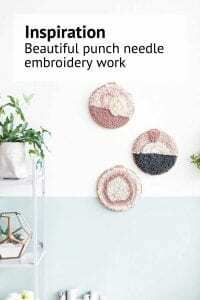 You may have read our punch needle tutorial for beginners and learned a lot about how to punch needle and how you can avoid the most common issues. 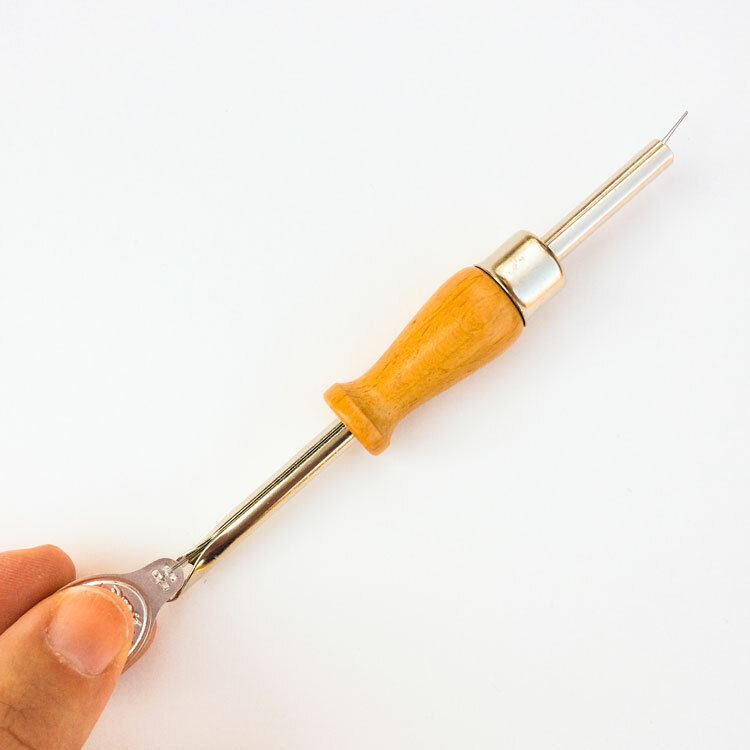 In this blog we will share a few more tips specifically focussing on the wooden adjustable punch needle we sell in our shop. 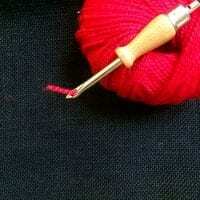 You will learn how to thread this needle with wool. 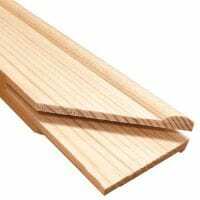 You can read our tips for foundation fabric that is a perfect match with this needle. 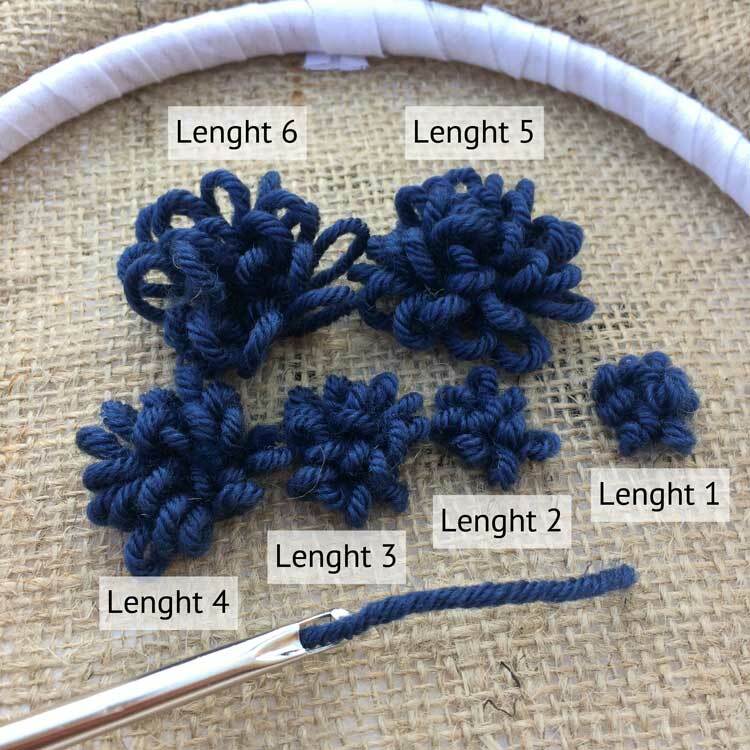 And we also show step by step how to adjust the height of your loops. 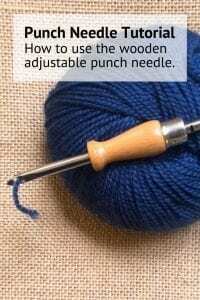 How to thread your wooden adjustable punch needle? 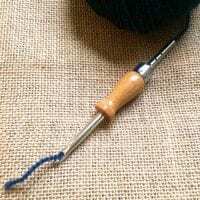 To get your wool into your punch needle you will need a threading tool. 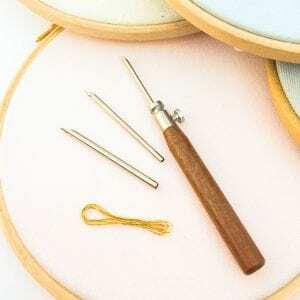 For the wooden adjustable punch needle you can use two options 1) a metallic wire threader or 2) a long needle of at least 15 cm. 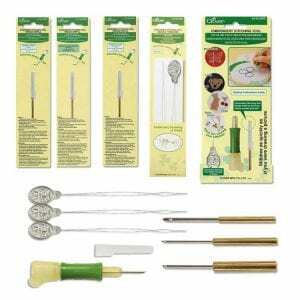 Without these tools you will strugle to poke your yarn through the needle. 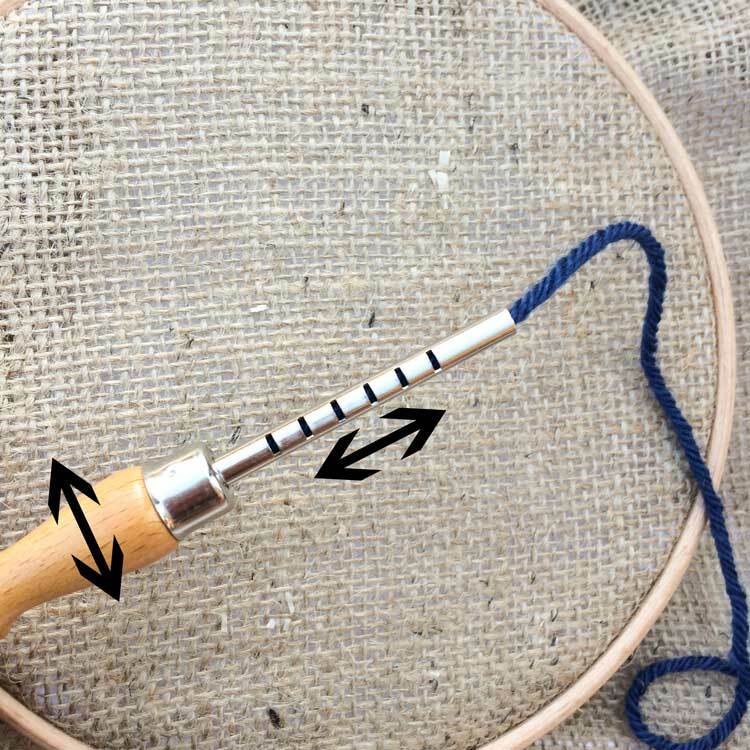 Below steps explain how to use the wire threading tool to get your yarn flowing smoothly through your punch needle. 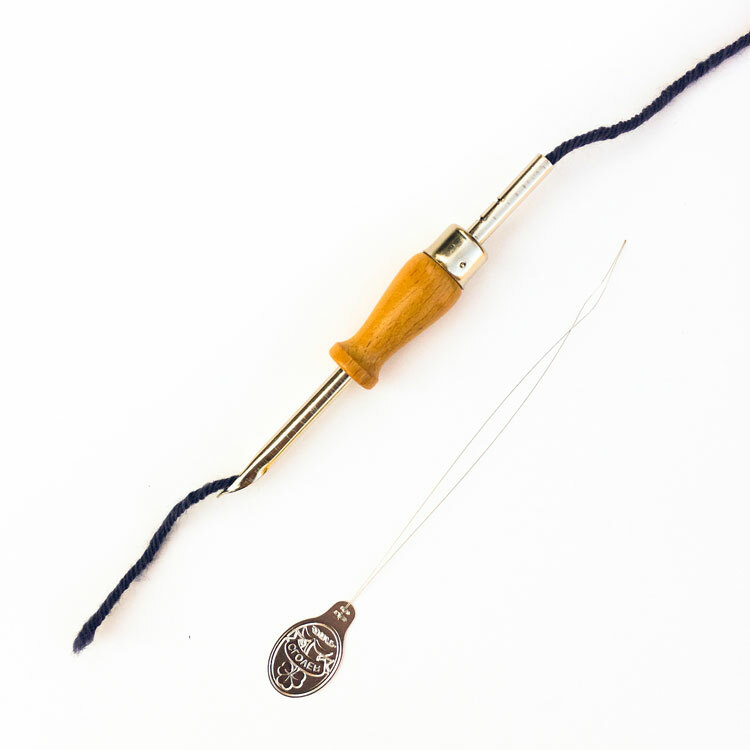 Put your needle threader in the long end of your needle. 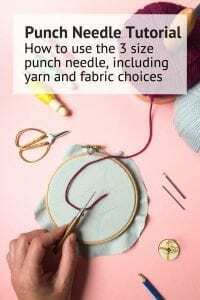 Enter your needle from the sharp end of your needle, the side that you will poke into your punch fabric. 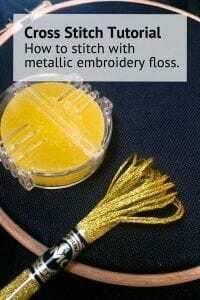 Pull your thread through the metalic threader that comes out at the backside of your punch needle. 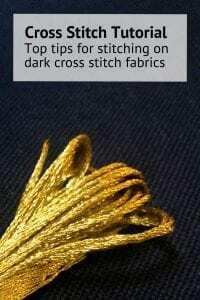 When using thick wool you can use a short tapestry needle if you find it difficult to go in between the metallic thread. 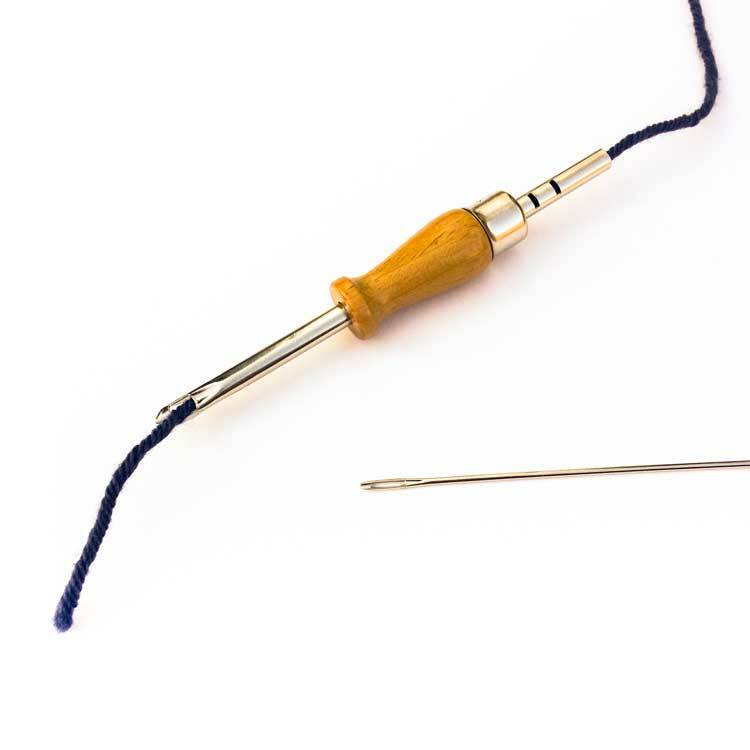 Now pull the needle threader from the front side of the punch needle all the way through your needle. 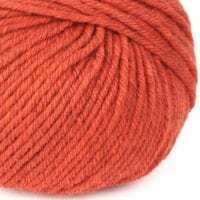 You will now need to poke your yarn through the eye of the needle (the needle hole). 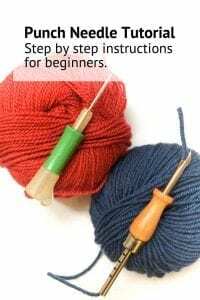 Below steps explain how to use an extra long needle to get your yarn flowing smoothly through your punch needle. 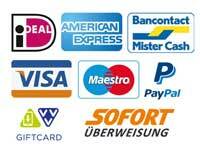 You will need a needle of at least 15 cm lenght. 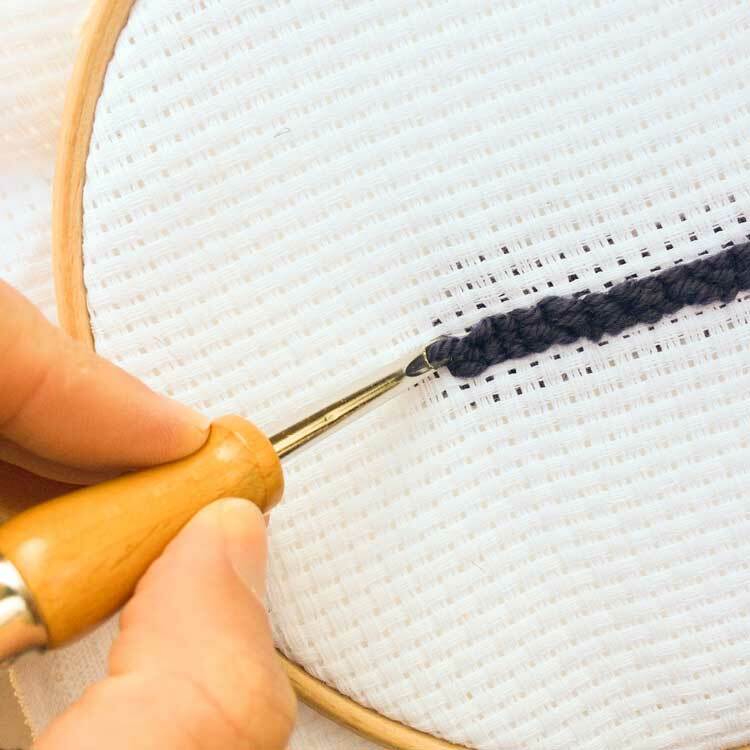 Insert the needle from the backside of your punch needle, until it pokes out at the front side. 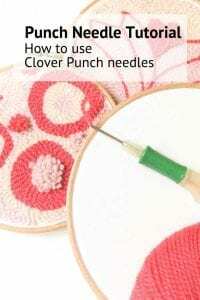 Pull your long needle through the punch needle. 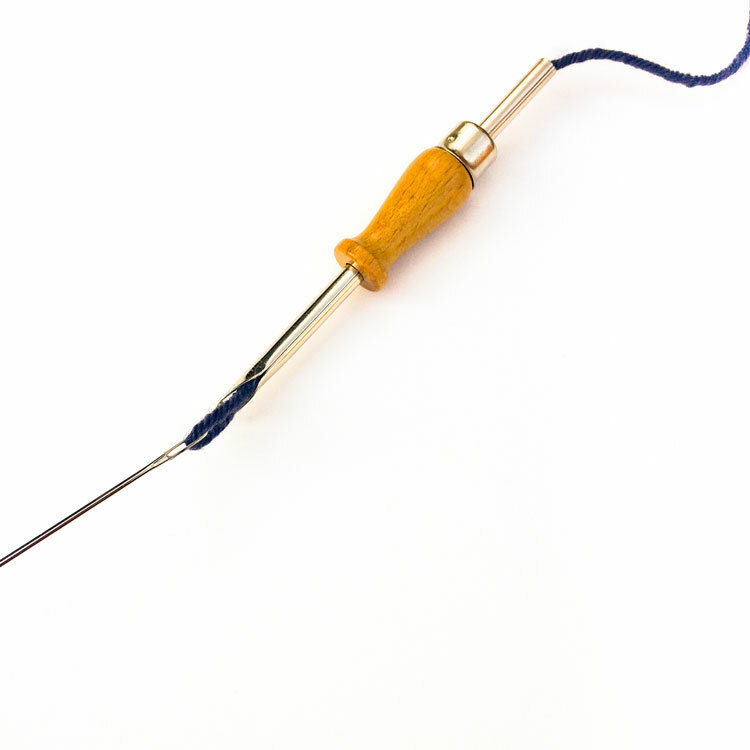 Now thread your long needle through the eye of your punch needle pulling the needle from the inside of your punch needle to the outside. Voila! 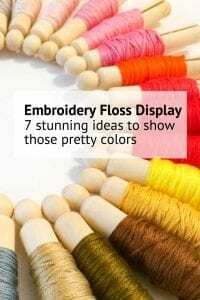 Your yarn is inside your punch needle. 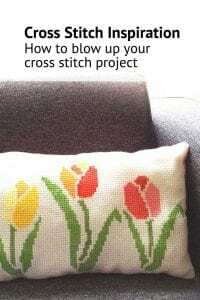 Which foundation fabrics are suitable for the wooden punch needle? 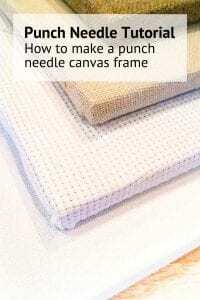 Each punch needle has a different thickness. 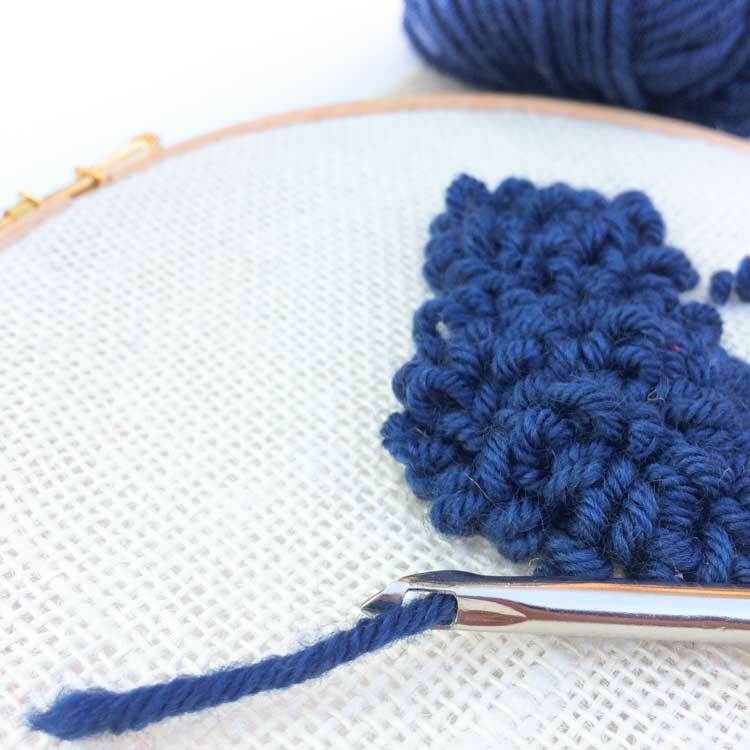 To ensure that your loops stay nicely in your fabric, it is important to use the correct fabric for your project. 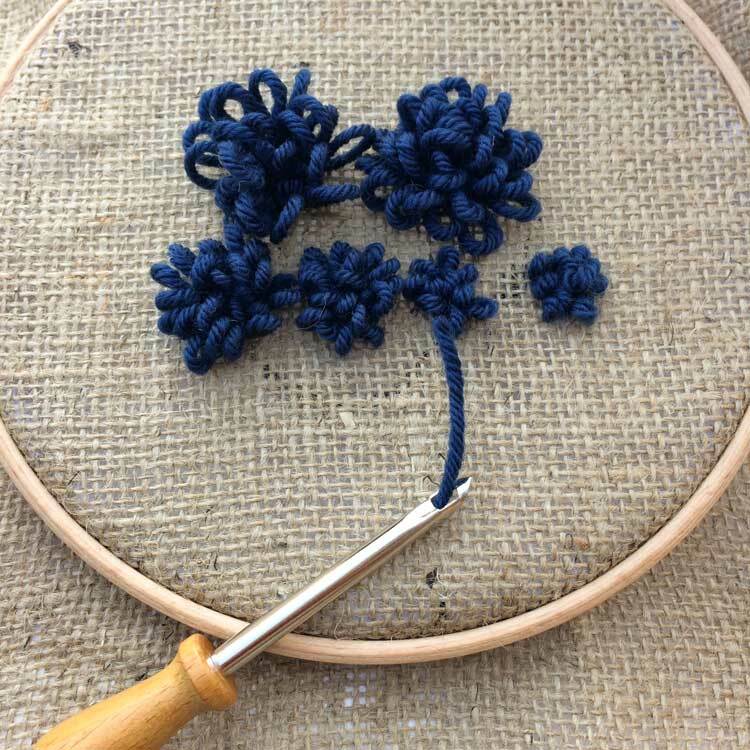 We tested the wooden punch needle with a large number of open weave fabrics to provide you the best combination. 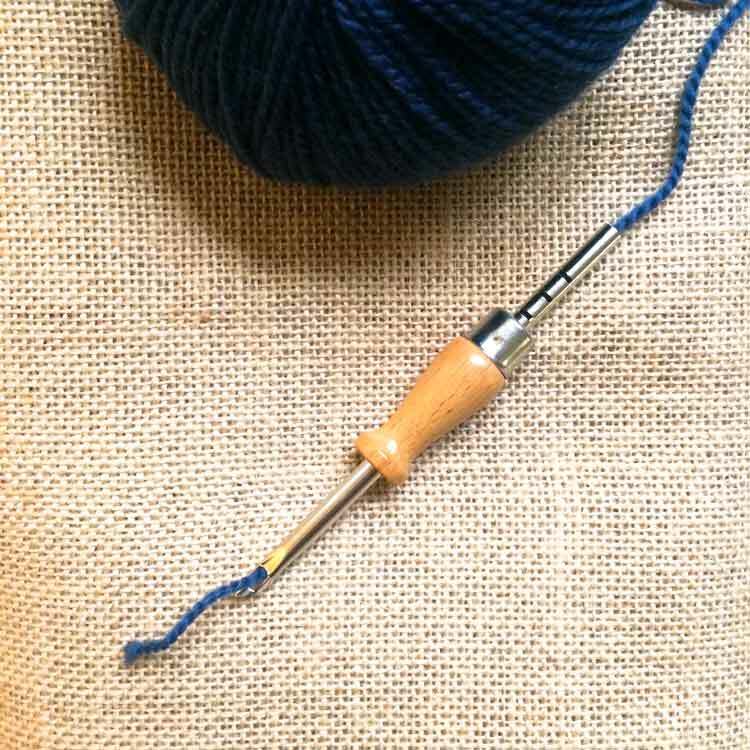 Our prefered fabric for the wooden punch needle is jute, burlap fabric. 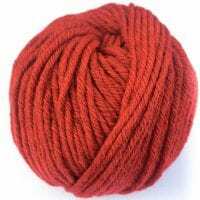 Jute is a very eco-friendly material and we found a Spanish producer that grows and dyes the jute in ecofriendly way. We tested different weights and learned that the budget Raw Jute works the best. 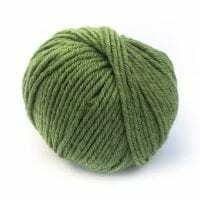 Jute is biodegradable and during the growth it consumes about half of the water resources that would be needed for cotton. 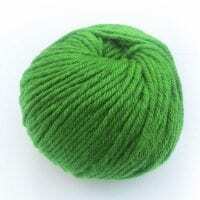 Combine it with ecological wool and your punch needle project will be a fully sustainable gift. 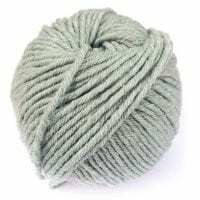 The raw jute is the ugliest fabric we tested and it does loose hair. But it just punches sooo easily. 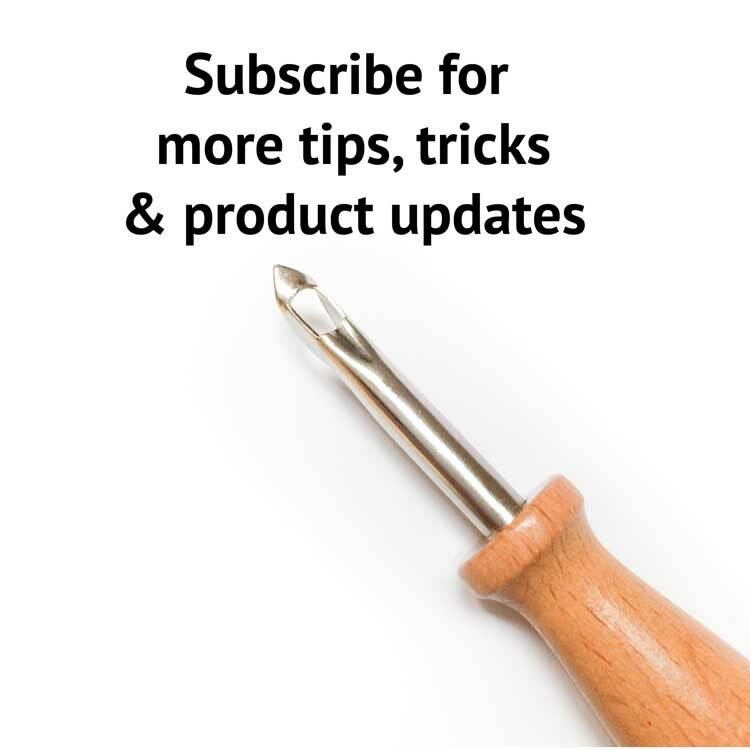 No pressure on your hands, it just goes in an out like a breeze. And the loops do stay put afterwards. 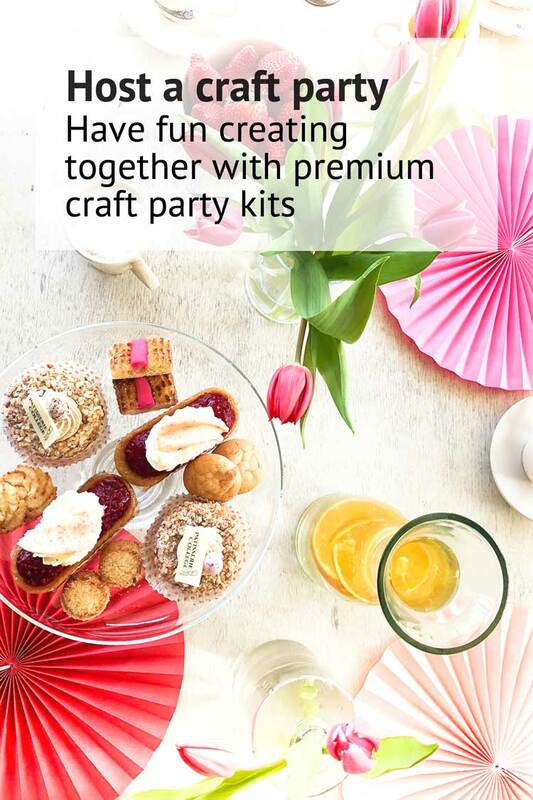 So it’s just exactly the right match for our punch needle. 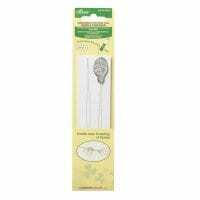 The 280 gr Jute is also a great foundation cloth for the wooden adjustable punch needle. It is slightly tighter then the raw jute but it looks a lot prettier and looses less hair. 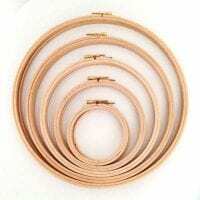 The jute is available in natural, black and white. 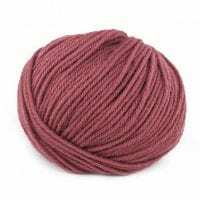 All colors are ecologically dyed, so the fabric is still biodegradable. The second best option for your wooden adjustable punch needle is our 100% cotton Aida 6 count fabric. 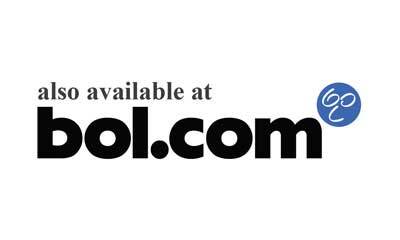 It works like monks cloth. 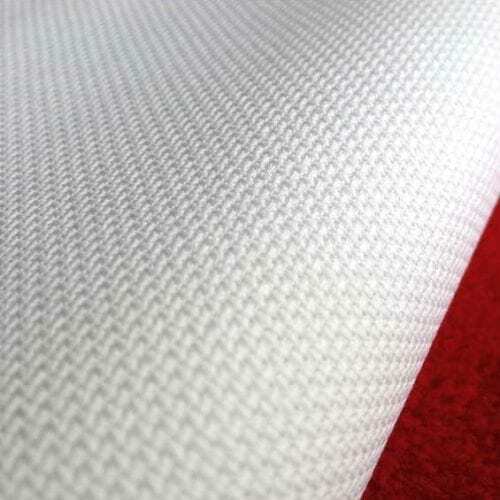 This fabric has a smooth surface (no hairs :-)) . 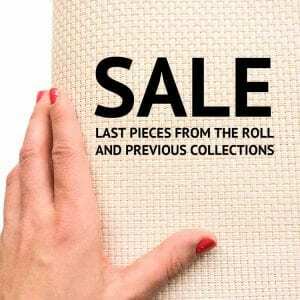 Our Aida 6 count fabric is woven in Denmark. 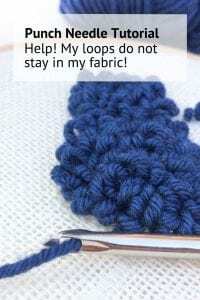 You can easily make simular sized loops using the holes in the fabric. The downside of this fabric when poking through the fabric you may damage a few threads. But even when we had to redo a section a few times, the fabric was still strong enough to hold all the loops nicely in place. 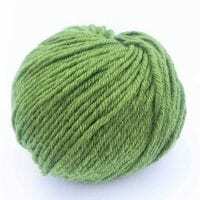 If you find the fabric to sturdy new, you can Always wash it before starting your punch project. 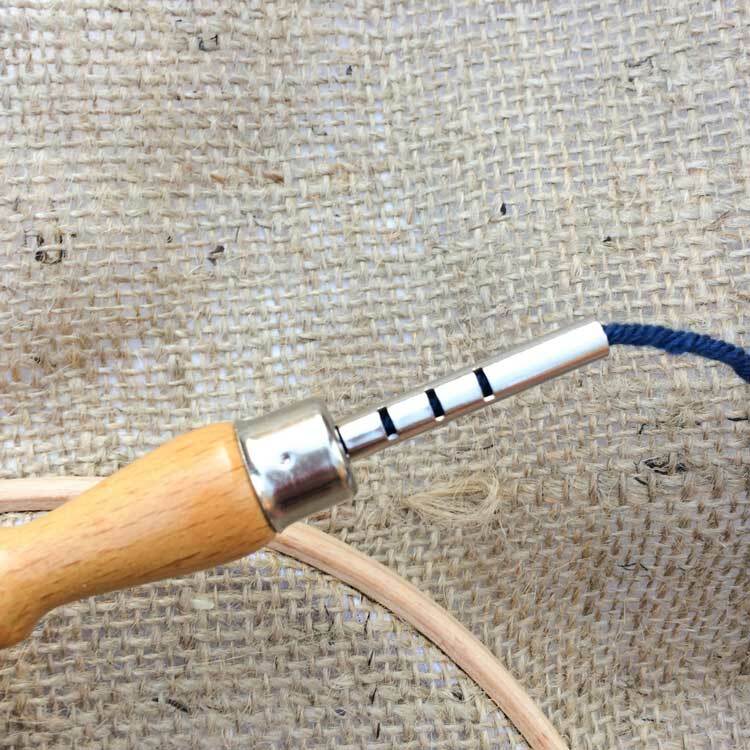 We also tested the wooden punch needle with different evenweave linen fabrics, but found that the tested qualities where not suitable for this punch needle. 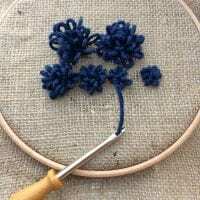 You have to poke a lot harder, and when a thread breaks it is more difficult to redo a section when you make a mistake. 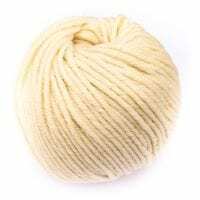 Finer Aida cloths, heavier or lighter Jute clothes than the ones we linked above are also not ideal foundation cloths for the punch needle. 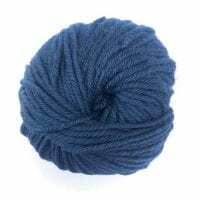 And where our punch needle fabric is a fantastic foundation cloth for the clover punch needle, for the wooden needle this fabric is too fine. You just have to poke so hard that you have to take frequent breaks to avoid hurting your hand. 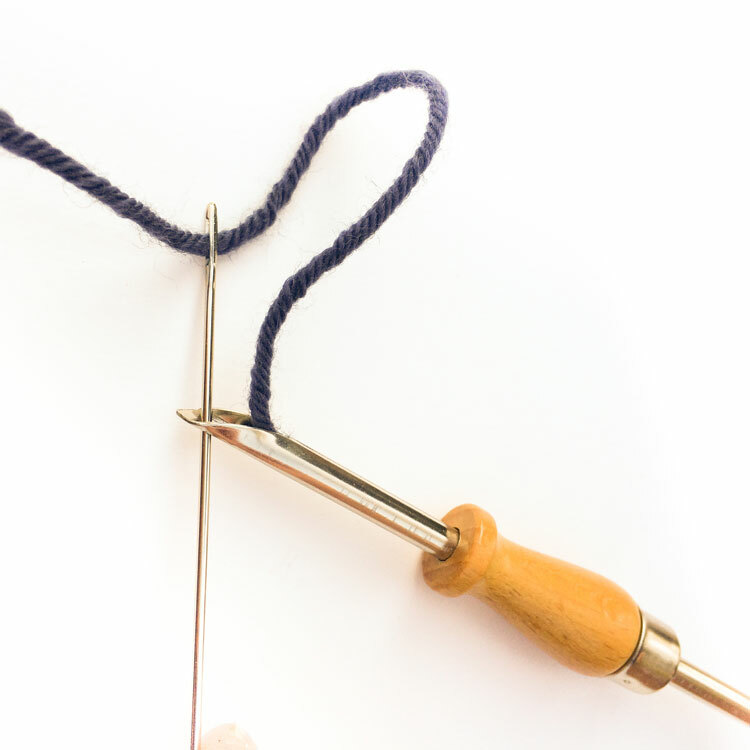 Adjusting the punch needle for different loop lenghts is not difficult. 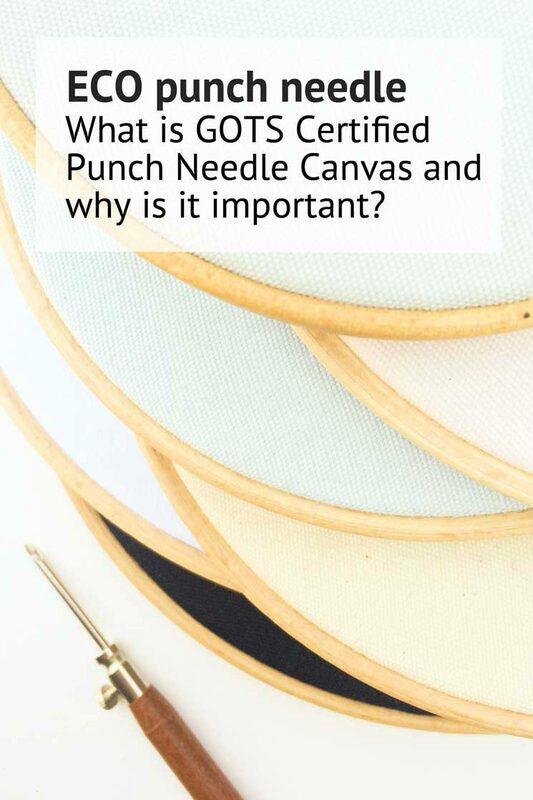 At the long end of your punch needle there are 6 notches in the punch needle. 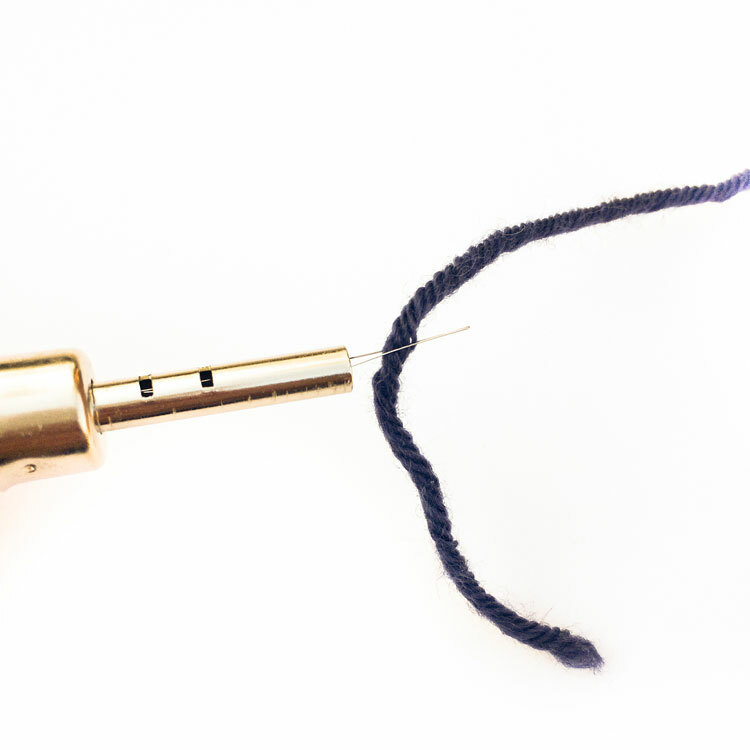 The spring inside the needle can be secured at each notch. 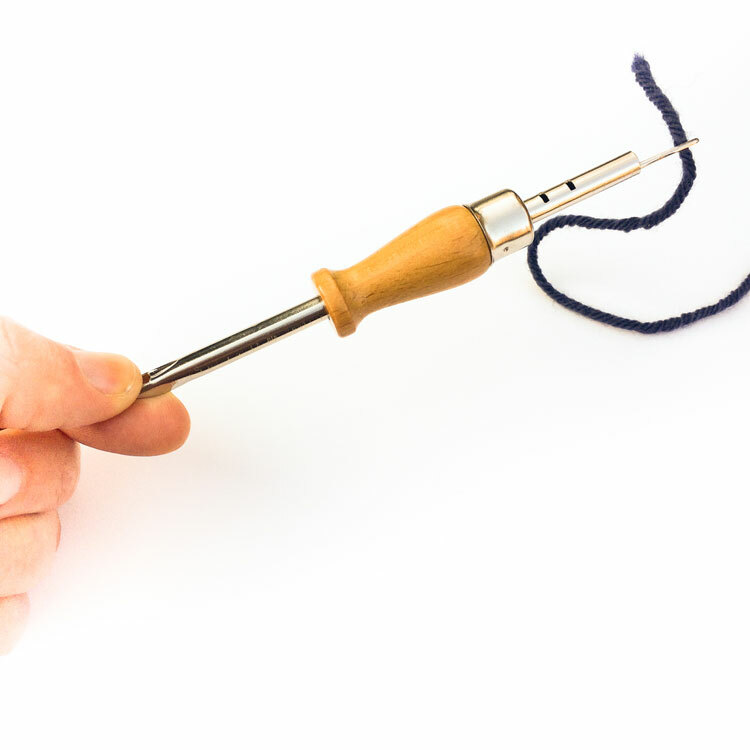 You can turn the needle and pull it to the desired notch then you turn it back until you hear a soft click. 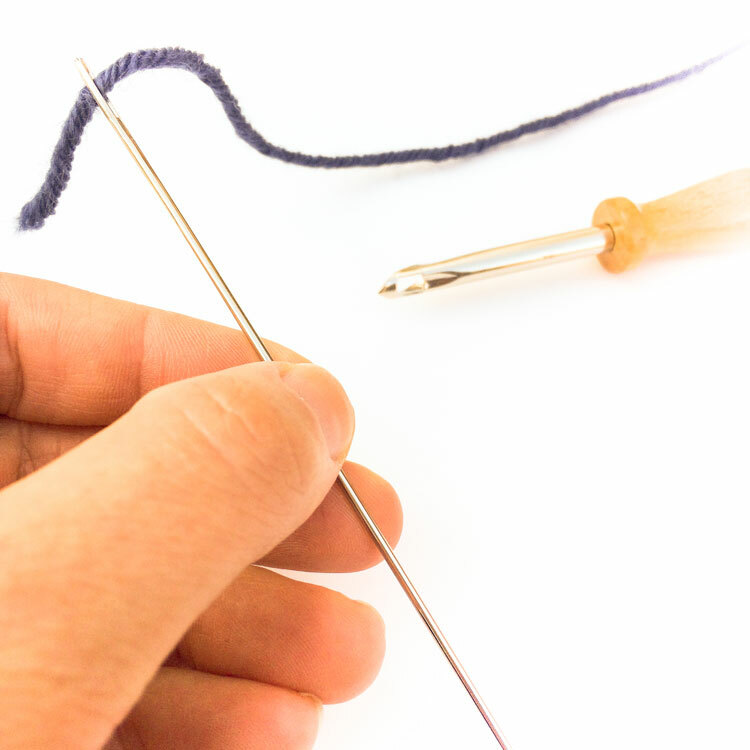 Turn the needle and pull the metal part further in or out until your needle ‘clicks’ into the next notch.